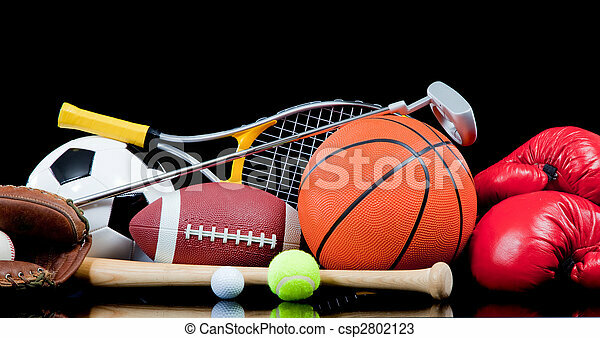 Assorted sports equipment on black. 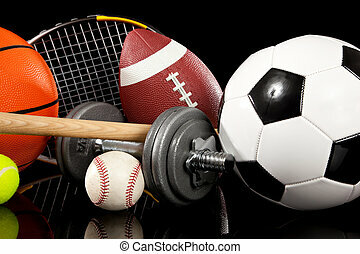 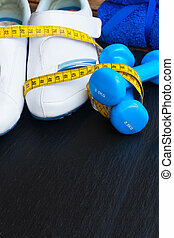 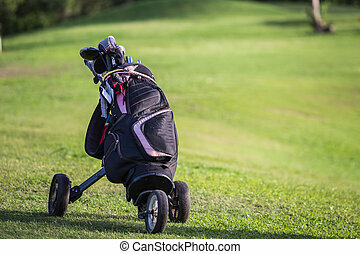 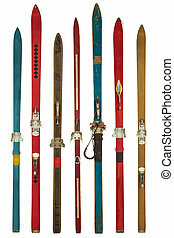 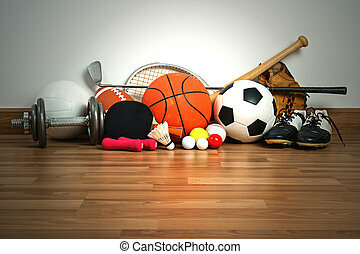 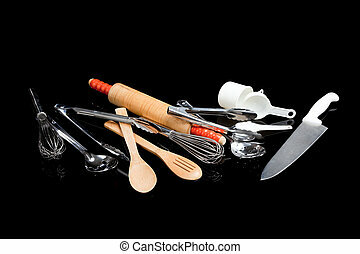 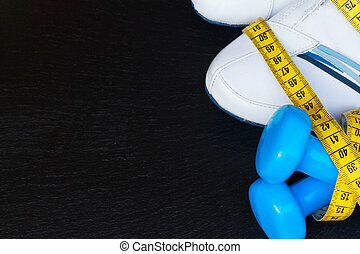 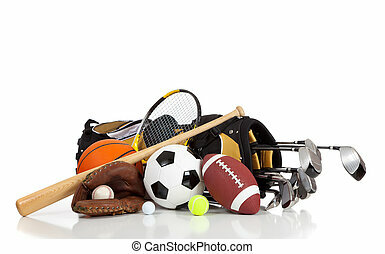 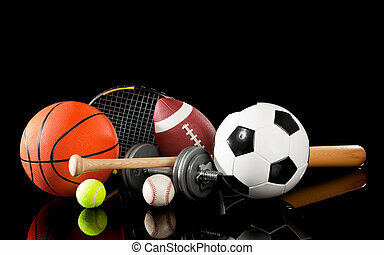 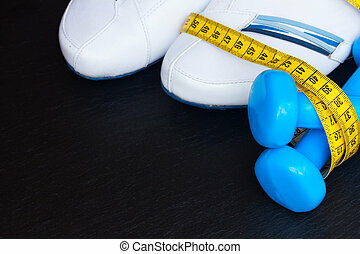 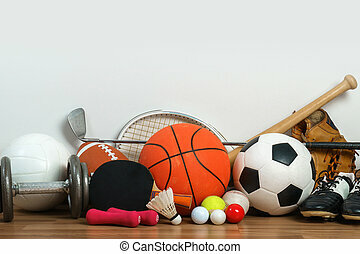 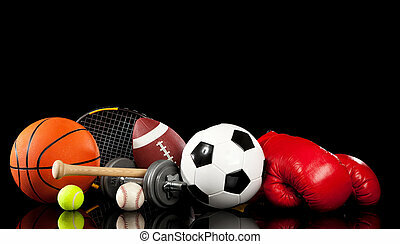 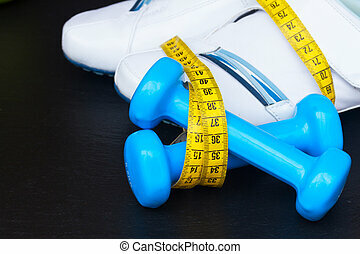 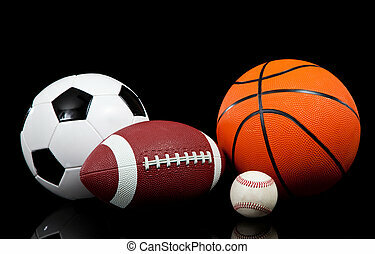 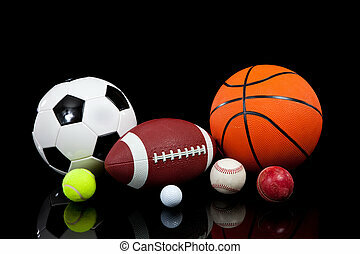 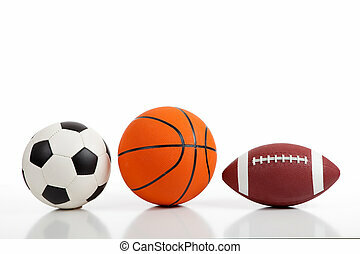 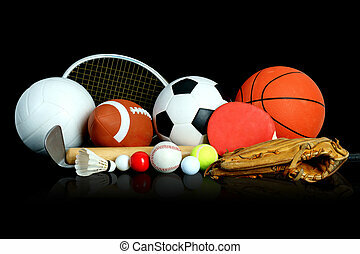 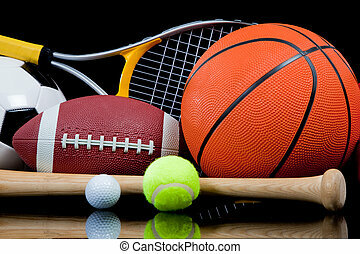 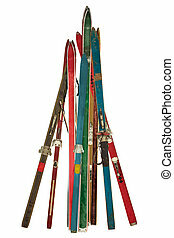 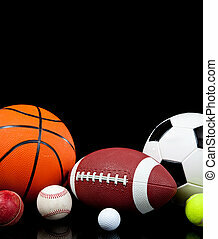 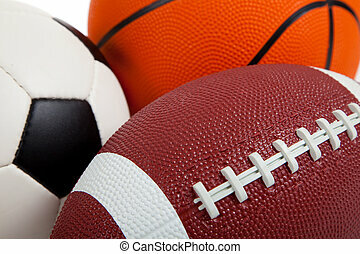 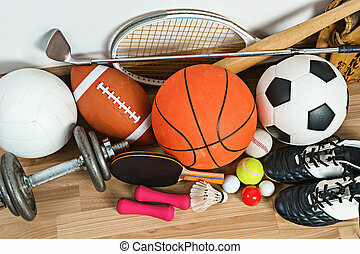 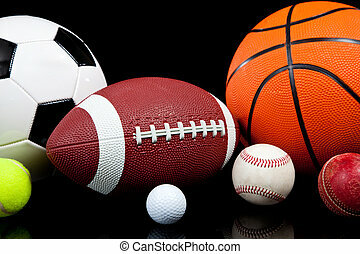 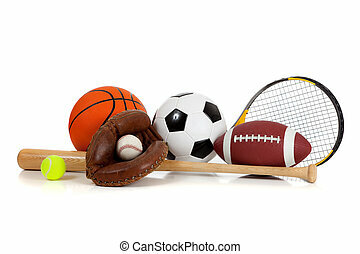 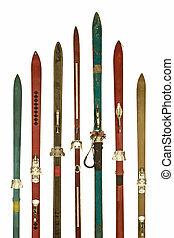 Assorted sports equipment including a basketball, soccer ball, tennis ball, golf ball, bat tennis racket, boxing gloves, football, golf and baseball glove. 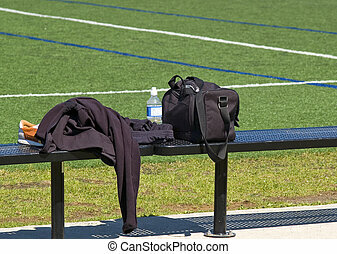 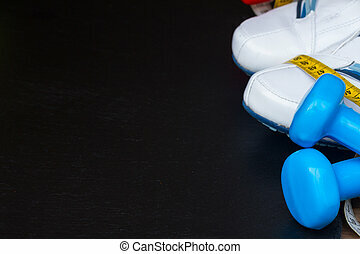 An assortment of sports gear rests on steel bench on the sidelines of a soccer field.